Explore security risk analysis and how to protect key business systems. Find out more about the degree. This course is the fourth of five in SIT763 IT Security Management and it is part of the Deakin post graduate degrees in Cyber Security, one of the first degrees to be offered on FutureLearn. Matthew Warren is a Professor of Cyber Security at Deakin University, Australia. 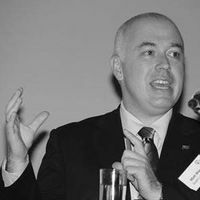 Professor Warren gained his PhD in Information Security Risk Analysis from the University of Plymouth, United Kingdom.